Billboard Magazine named Danny Avila one of their ‘21 Under 21: Ones To Watch’; he’s the youngest ever prime-time resident on America’s only national radio broadcaster SiriusXM and he held three residencies in Ibiza this summer alone including one alongside Tiësto; and he’s not even old enough to vote. 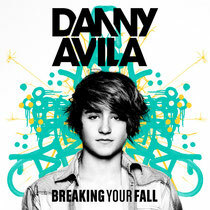 Now he’s confirmed that his debut single release ‘Breaking Your Fall’ has been signed to Big Beat Records, an imprint of the Atlantic Records Group. The track, a heady concoction of big room beats, electronic drops and sleazy vocals is already receiving a heap of praise thanks to a teaser that’s been floating around since mid-summer, and now it’s set for release on November 13. Big Beat boasts the home of Grammy Award-winning producer Skrillex, ‘MDNA’ co-producer Martin Solveig, Chromeo, Flux Pavilion, Walden, Knife Party, Icona Pop and more. 17-year-old Avila has recently completed his first ever US tour.